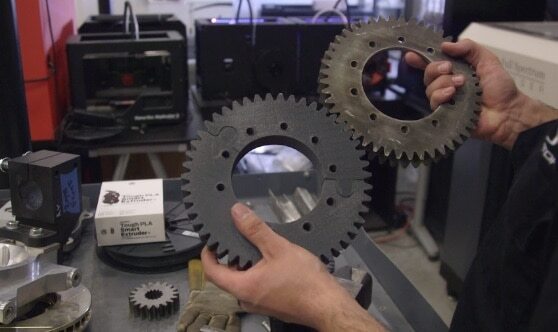 MakerBot offers exclusive technologies that have a dramatic effect on prototype strength and print times. UPDATE: MakerBot Tough filament is now available in four colors! With 2X the impact strength of ABS, we used it to explore some new advanced applications—check it out here. For tougher prototypes, MakerBot Tough filament offers designers a true engineering material: perfect for creating durable, high-impact strength prototypes and fixtures. It’s a resilient and “tough” plastic that mimics and even outperforms many of the mechanical properties of ABS while offering the safety and reliability PLA. This threaded Tough gear prototype withstands high tension when mounted on an assembly. Under a tensile load, MakerBot Tough filament deforms elastically and returns to its original shape before hitting peak strength. Beyond this peak, MakerBot Tough exhibits a very long plastic deformation range that outperforms ABS. These mechanical properties make MakerBot Tough ideal for prototyping functional features like living hinges, snap fits, interlocking parts, and threads. Not all prints need to be durable, dense, or heavy. When surface quality and print speed are more important, MinFill offers breakneck speed . 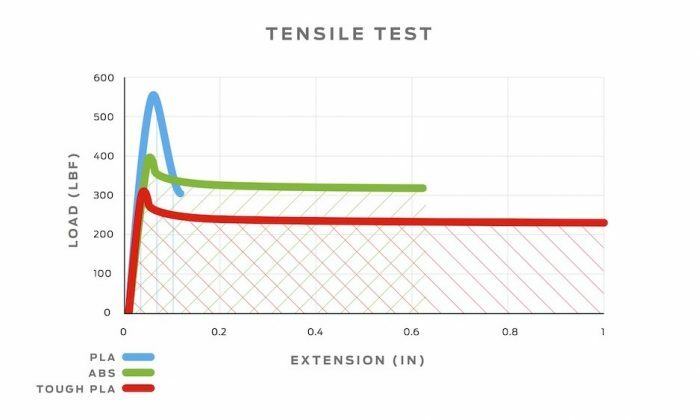 MinFill – short for “minimum infill” – is an intelligent algorithm capable of determining the absolute minimum amount of support needed for the inside of any 3D print. 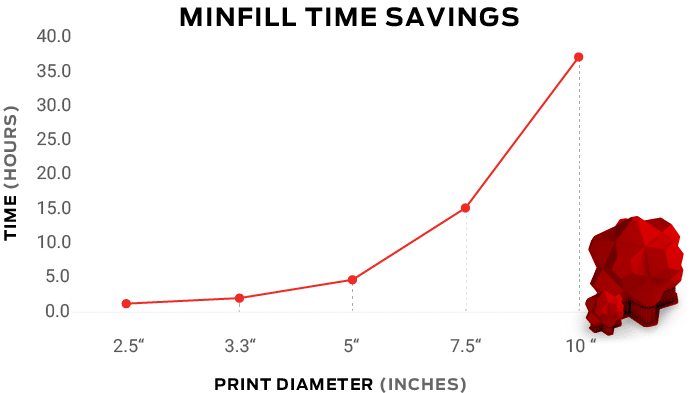 Based on our testing, MinFill prints 30% faster using 30% less filament on average. For models with a large internal volume, like a sphere or cylinder, MinFill prints up to 80% faster. If you’re sprinting through product development or racing to market, that means faster early concept modeling and more iterations in less than half the time. Whether you’re looking to expedite 3D printing times or create resilient, machinable prototypes, MakerBot has a solution for you. Discover how MakerBot technology can benefit you – learn more.